Electric range tops come with many choices, but one of the most considered is the type of burner. There are quite a few options here as well but the list can be shortened depending upon the user’s needs and requirements. Some people are looking for energy efficiency while some are looking for cost efficiency. Others prefer a more modern take on the range top concept of heating. The advantage of electric ranges over gas is that users have more control over the temperature and they are less expensive than gas ranges. Coiled element burners that are exposed are the least expensive. Coiled burners are elements that are coiled around in a flat disk. They sit above recessed spots in the drip pan underneath, plugged into the electrical components of the range top. When an electrical current is introduced to the coils they heat up and glow. The glow helps identify when the range top is still hot after it has been turned off. These types of burners are also the most cost effective and the fastest to heat up but they take a long time to clean when things spill on them. Most smooth-top ranges have the same coiled electrical elements that heat them but smooth top ranges are either covered with a thin sheet of ceramic or with sheet of glass. These range tops heat and cool quickly and are much easier to clean but are generally more expensive than their exposed coil counterparts. Halogen bulbs are sometimes used in smooth top electric ranges. These are range tops that are covered in a smooth sheet of glass which is usually scratch resistant. Underneath this glass are halogen lamps pointing upward that heat the surface of the glass above them and thus heating the cookware placed on top. Induction ranges are unusual in that they do not generate heat or light. These ranges have a coil of copper wire underneath the smooth top. Through this wire an alternating current is fed, which generates an electromagnetic field. This field penetrates the smooth top above and when magnetic cookware that can conduct an electrical charge is placed in to this field the cookware heats up. It does this because the electromagnetic field causes the molecules of the cookware to move fast, which generates heat. When the cookware is removed, the surface of the range is cool to the touch picking up only minor residual heat from the hot cookware. 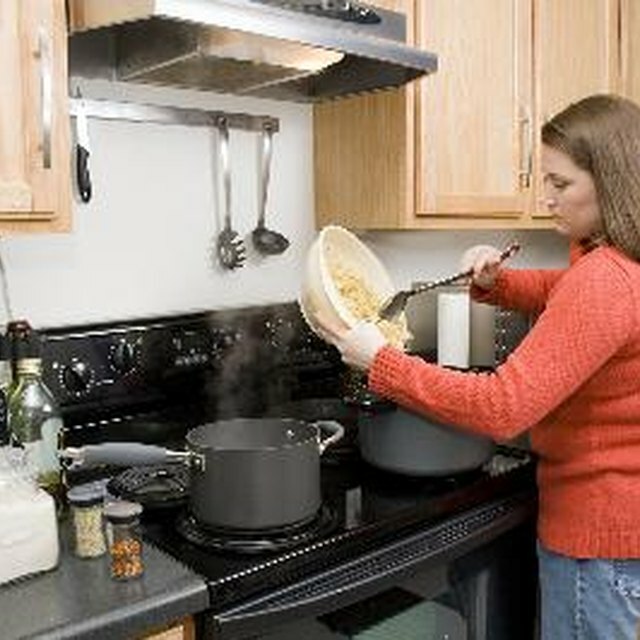 Home Tips: Range & Cooktop Burners: Gas or Electric? CNET Reviews: What types of stoves are available? Can I Convert an Electric Cooktop From 220 to 110?